One of Canada's colder capitals, Whitehorse is the capital of Yukon with the population of 23,000 Canadians. Predominately a summer tourist spot, Whitehorse is also the capital city for many of Yukon's mining and forestry industries. 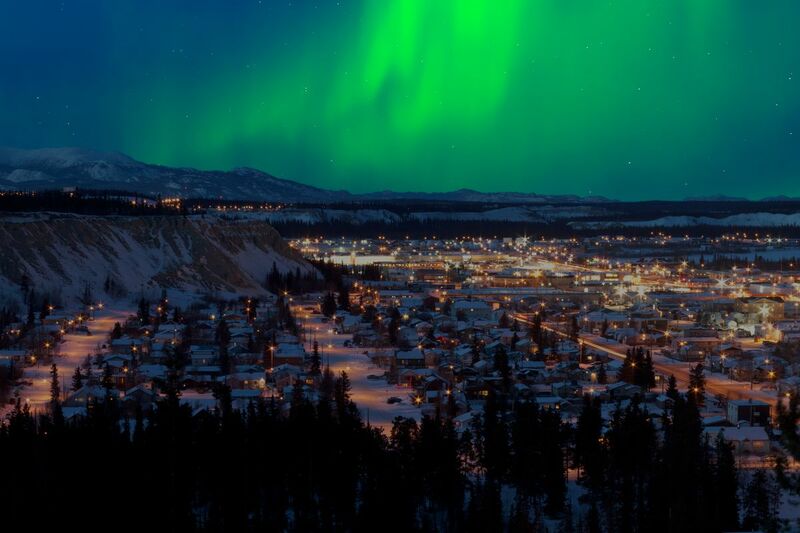 Whitehorse is Yukon's capital and largest city at around 21,000. It was incorporated in 1950 and is located at kilometre 1476 on the Alaska Highway. Whitehorse's downtown and Riverdale areas occupy both shores of the Yukon River, which originates in British Columbia and meets the Bering sea in Alaska. The city was named after the White Horse Rapids for their resemblance to the mane of a white horse, near Miles Canyon, before the river was dammed. Because of the city's location in the Whitehorse valley, the climate is milder than other comparable northern communities. I enjoyed my brief stay here on both ends of an Earthwatch trip to the Northwest Territories of Canada. Whitehorse has all the amenities that you need, including comfortable hotels, decent restaurants, and almost any chain store that you need. It's also compact with the City Center, fun to walk around, and with lots of friendly folks. A magical town in Canada's true North. There are 2 real cool backpackers, excellent hiking gear stores, a wonderful coffee shop and amazing views. The first stop on your Yukon trip.